We provide a full service ice cream sandwich bar at any type of event where we make made-to-order custom ice cream sandwiches! We come out to your event 30 minutes before your desired serving time to set up our station. 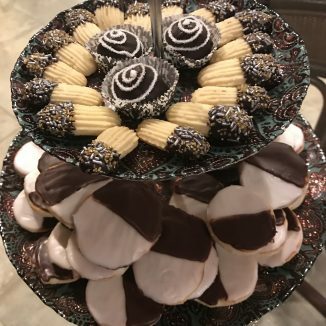 We provide a 5-foot table with a tablecloth for display of the cookies, a 4-foot frozen catering cart for the ice cream, all utensils, a menu board with the flavors you choose, and we have a tent we could set up if the event is outdoors. You can pick 4 flavors of ice cream, 4 flavors of cookies and your guests can mix and match however they please!